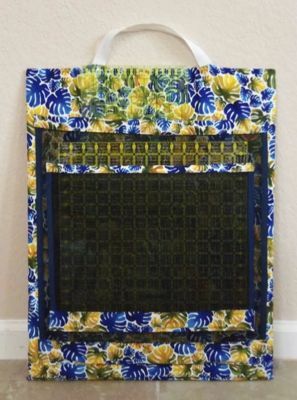 This handy tote has four or five vinyl mesh pockets and a rigid core to carry, store, and protect your various rotary rulers. Add a touch of your own flare with whatever fabric you desire. A handle and/or a shoulder strap to make carrying your tote easy. Be the envy of other quilters when it comes to having your rulers visible and at your finger tips.